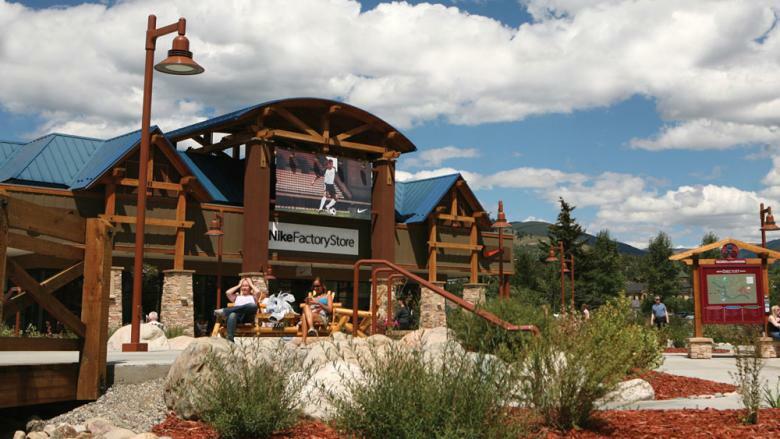 The Outlets at Silverthorne offers a unique shopping experience nestled in the scenic Rocky Mountains of Colorado (51 stores & 2 restaurants). Stop by the Colorado Welcome Center located at 246-V in the Green Village and pick up a VIP Savings Card for exclusive discounts to over 50 stores. Nice nearby selection of stores, anchored by City Market (Kroger), Sports Authority, Bed, Bath & Beyond, Skyline Cinema (8 theaters), Border’ s Books, Ruby Tuesday’ s and several in-line shops such as Starbucks and Fed Ex Kinko’s.